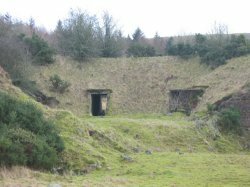 The people of Dalbeattie who were born and raised here, or whose families lived here, have heard many stories about the WW2 Munitions Factory at Edingham and know it well. Indeed, many of the older people in the town may have worked there and have a fund of stories to tell. For newcomers or tourists coming to Dalbeattie there is curiosity about the buildings, mounds and humps around Edingham, on the outskirts of the town as you approach from Dumfries. Edingham was built in 1939. McAlpine Construction was given the contract on a time and materials basis which meant there was no restriction to the final cost which amounted to £3.5 million. Most of the factory was built by hand. Drag lines and basic diggers which had no cabs or hydraulic rams, were also used. Over 3000 men, the majority of them Irish, were used in the building and labouring. 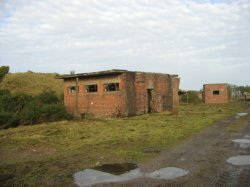 The Irish navvies stayed in wooden huts, which were later used to house prisoners of war from 1943 to 1947. The area for the site was taken from six farmers who were paid a minimal fee. The total site was 300 acres, 180 of which came from Edingham Farm. 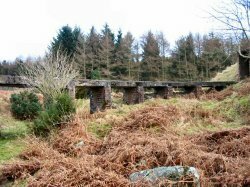 One of the main reasons for choosing this site was the fact that the Dumfries to Stranraer railway line passed through it, making it an ideal location with easy transportation of cordite and nitro-glycerine for onward processing. It took 8 miles of high security fencing to surround the site, which was made up of two identical halves, so as to prevent production being interrupted if a key building was hit and put out of action. The buildings themselves were dug into the earth and then surrounded by steep sides, like a large pudding basin. This ensured that, should an explosion occur, the force of the blast went upwards causing less damage, and not outwards to damage other parts of the site. Cordite and nitro-glycerine were the main products manufactured. These highly dangerous products were hauled around by unshod horses and carts, supplied by farmers, to prevent any sparks which might have sent the place sky-high. The railway line continued in use for the public until the early 1960s. 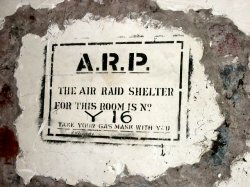 After the War the Admiralty took over the whole site and used it as a store for such items as floating mines. In 1960 the land was sold back to the farmers with Mr Taylor of Edingham ending up with most of it. There have been many diverse ideas and uses for the buildings over the last 40 years, ranging from growing mushrooms to furniture storage etc. But the most practical use apart from providing shelter for cattle has been Army and Police training which is still ongoing. 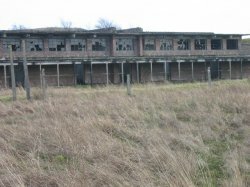 The buildings are now derelict and unsafe, and for this reason the site is not open to the public. However, once a year a conducted tour is arranged and is very popular for those interested in the factory’s history. If you belong to a group who are interested in the history of Edingham and would like to see round the site, contact Matthew Taylor on 01556 610397.